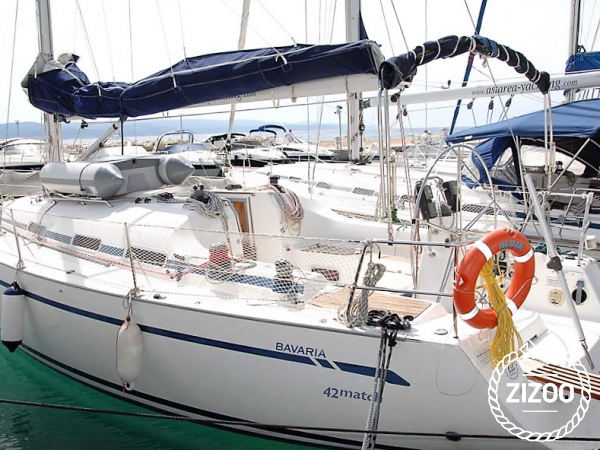 Sail up a storm on this 2005 Bavaria 42 Match. Don't worry the Oluja (storm) is not a boat that brings bad weather, but its great for hitting the waves on a windy day. Raise your sails and cruise along the Adriatic Sea. Discover wonderful destinations such as the Island of Bisevo, with its famous Blue Cave that can only be accessed by dingy. Or sail around the other side of the island and explore the Monk Seal Cave, though we can't promise that you will spot one of these lovely, yet elusive, creatures. With 3 cabins that sleep six, plus an extra 2 spots in the salon, a fully-equipped kitchen and a spacious yet cosy salon, you and your family are in for a fun sailing holiday. For more ideas on destinations, or for any questions you may have regarding this boat, feel free to ask your accommodating crew in Baska Voda. Requested 26 times this week!